As I looked through the Black Friday ads on Thanksgiving Day, I got caught up in wanting the things I don’t have. Though I have a list, I keep it in the back of my mind as the things I really don’t need – until yesterday. I admired the piles of stuff – a diamond dachshund pin, glittery jewelry, cute jackets and clothes, clothes and clothes – as I flipped through magazine-sized ads glorifying the merchandise, singing the ooh, la, la, hmm, oh song of coveting. I want a new TV set, because the DVD player in mine sounds like a tractor when I hit play. I want an iPhone because everyone else has one. I want new clothes because I’m bored with mine – I haven’t bought much in the past few years in my effort to budget on a journalist’s income. I want more shoes – need you ask. And I want this little black dress that I know won’t fit me – I had seen it on a clearance rack, but it was a size small and I’m five-eleven. Wanting things is not the point of Thanksgiving. At the dinner table, we did the round robin of listing our thanks. I mentioned the fact that I have a job, my love of writing, my dog, my family and friends, and a couple of coffee shops that I frequent – yes, I’m addicted to caffeine. I didn’t plan on going Black Friday shopping because I had to write a story about the shopping frenzy, which in my area, seemed slower than when I went out two years ago. The parking lots weren’t as full, and I had to work harder to find shoppers with cartfuls or armfuls of purchases for possible interviews. As I worked, I let a rude store manager who I tried to interview get to me. I thought, how dare she insult me when she’s some 20-something, inexperienced person who doesn’t know about basic customer service (except I approached her as a media representative). I got in a sour mood even though Black Friday kicks off my holidays – I love Christmas because, frankly, it’s better than the dreary winter of January. There’s supposedly all this cheer and people being slightly kinder. Basically, I got off track by thinking of what I wanted when I should have thought about the fact that I do have things to be thankful for. And one of them is that I can talk myself out of bad mood. And needing a TV. Mine still works, as does my phone. I don’t wake up with it every day but I want it to get me through until I return to bed. For the last few weeks, I’ve been trying to figure out why it ebbs and flows and can’t be a reliable constant. I wonder why I have to keep reminding myself of it. Motivation is the desire to do something, the drive to carry out a goal. For example with work, my motivation is that I want to get paid, I want to do a good job and I want to learn and better my writing skills as a reporter at my hometown newspaper. But at the same time, I want to write my novel and live the novelist’s life. Herein is the contradiction: when I’m in the midst of a writing project, I don’t want to leave it do practical things. And when I get caught up in practicality and the hey-ho march to the mines, I convince myself I’m too tired for my passions. I looked up the term, as well as the phrase “artists and motivation,” and found a few definitions. Motivation is the process that initiates and guides goal-oriented behavior. It is what causes you to act. * Activation, or the decision to initiate a behavior. * Persistence, the continued effort toward a goal even though obstacles may exist. * And intensity, or the degree of concentration. Like a kick starter, I have to remind myself of my goals and think of the eventual rewards whenever I find that I’m tiredly crossing off items from my list of have-to-dos. If I’m bored, I have to remember that I have constructed my life and that even though I’m not doing something at the moment, my life isn’t meaningless. I have inserted it with future goals, present friends and past lessons. I have goals and friends and things I want to do. * State goals in a journal or tape them up on the fridge. * Plan out the steps to take to reach those goals. * Forgive yourself if you get sidetracked or frustrated. Like with trying to lose weight, if you binge, you shouldn’t stop the diet and call yourself a failure but continue on the next day. * Get active by doing something physical or social. And remember your passion, the reason you are chasing your dream in the first place. I remembered my grandmother’s name as Rose. In my grief over her death on 11-02-2011 (a palindrome, by the way), I gave Grandma Roma Widhalm a new name. During her rosary and memorial service, I read the blog I wrote last week, which I originally attributed to a Rose. Family members said rose was the right moniker for her, given her beauty and loving personality. A dozen of Grandma’s photos, including her senior photo, were on a table. A slide show ran continuously showing moments from Grandma’s birth through her 90th year, as well as a few of the photos she had in her collection that were given to her by her children and grandchildren. 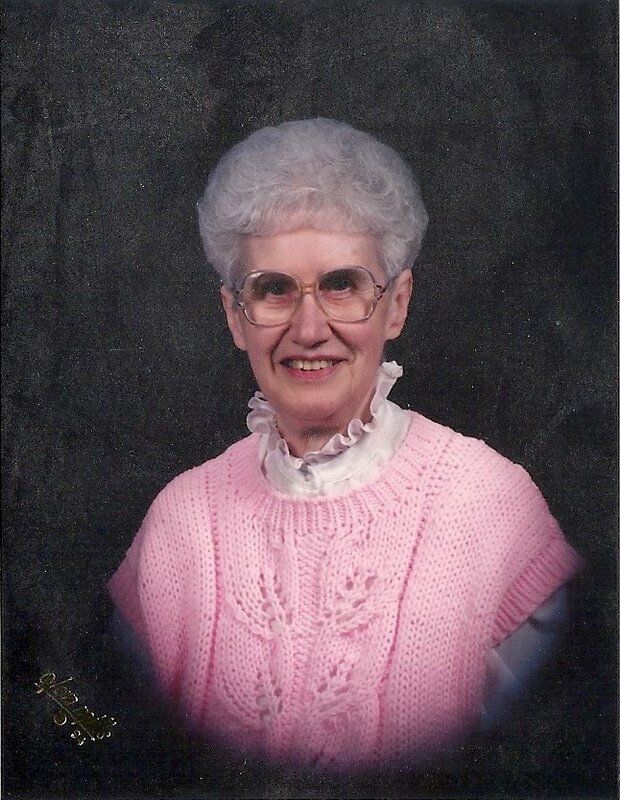 I stared at Grandma’s senior photo. She looked like me, I thought, in her eyes and the shape of her face. I asked my father and my aunt if we looked alike, and they said they saw a resemblance. I felt like I was looking at the photo of someone who I didn’t know. Who was this beautiful woman with a serious turn of the mouth? Who was the woman who, as a child, held her younger sister, Faye, in a protective, loving embrace? The questions simmered at the funeral the next day. It was held at a Catholic church in Elkhorn,Neb. I half-listened to the readings and prayers as I thought of the viewing, Grandma with her hands bent from arthritis positioned at her waist. Who was this woman, the one who I showed my new shoes to when I was six? The one whose shoes I hid when she babysat so that she would not leave me? Who sent me birthday cards until the last year when she was too ill to pick up a pen? Who grew up on a farm and went to a country schoolhouse? Who married and divorced only to be buried next to grandpa? I was fascinated, and I felt regret. Why hadn’t I asked these questions? At the inurnment the next day, the grandchildren sat in a row underneath blankets as the priest recited the parting prayers. My aunt Kathy cried with the praying. The tears passed down the row to me, wetting my eyes and, like the crisp gray air, dampened my calm. Goodbye became a heavy word, not just to my last grandparent but to the things I hadn’t bothered to learn. I wrote down the dates of my grandparents’ and great-grandparents’ births and deaths. It was like I had become a researcher gathering new facts that I should have already known. I had never asked to see photos of Grandma in her youth, accepting that to me, she was just Grandma, a woman with gray hair and health problems. I took her at face value until I saw that her face resembled mine. Maybe that was the rose that my grandma rose gave me. The beauty in wanting to keep asking questions, wondering about the what ifs. 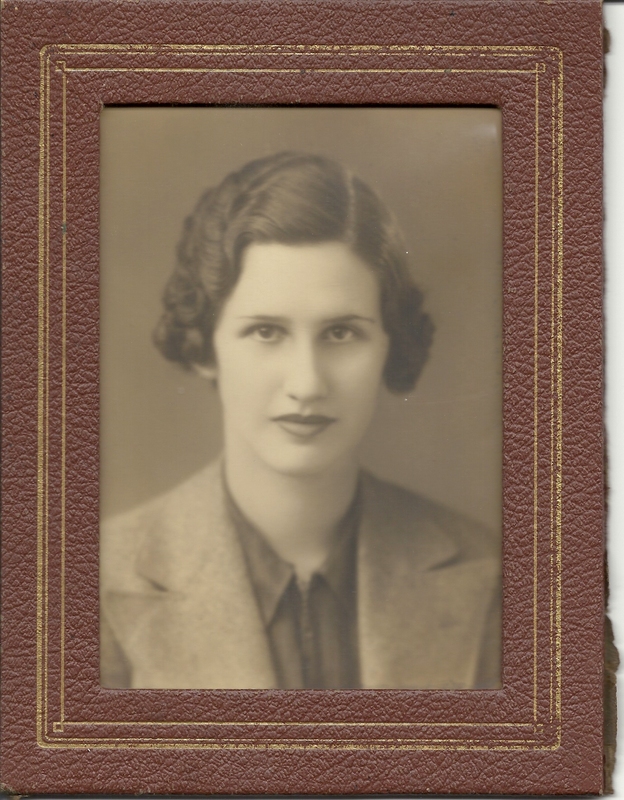 My grandmother, Roma Widhalm, died on the night of Election Day at the age of 91, almost two months before her 92nd birthday. To give me the news, my dad called me Wednesday morning, but I was still in bed after working a late night covering local election issues for my hometown newspaper. I let his message go to voicemail. Ten minutes later, I called him back and when he told me, I was surprised I didn’t cry. My father and his three siblings have been expecting Grandma to leave us – her health had been rapidly deteriorating. She had rheumatoid arthritis, plus a few other health problems. I wanted to visit her this summer when I was an hour’s drive from her nursing home, but I got caught up in other stuff and didn’t. I am sad and ashamed. I now carry the guilt of forgetting to schedule in the visit. There is some comfort in knowing Grandma is where she wants to be – with her Lord. She’s wanted to join Him for a few years because her health problems make her life difficult. I called my mother an hour later and gave her the news, and that’s when I started to cry. I was walking to work and came in and told my boss and got teary-eyed. I went to my desk and started working, trying to calm my heart. Grandma lived a full life – she grew up on a farm, had a difficult marriage with an alcoholic, divorced when it wasn’t common and worked at a bank, earning her way in life, plus she raised four children and loved her dozens of grandchildren. She had to deal with the thorns of pain. She could feel the silk of petals in the many hugs she got from her grandchildren. The stem of her tall, elegant body, though curved in her later years, kept her beautiful. And the entire rose of her being colored our view of her as the best kind of grandma that has a bounty of love.